WOOLWICH TWP. 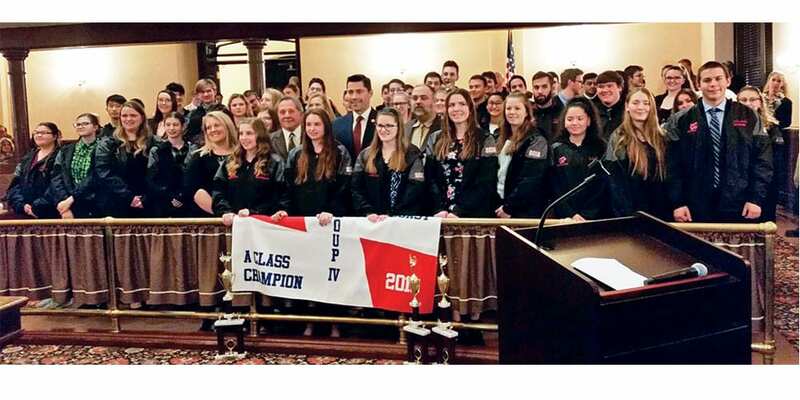 — On March 6, students from the Kingsway Regional High School Marching Band were presented with a proclamation and Certificates of Commendation congratulating them on becoming the 2018 Atlantic Coast Champions in the Tournament of Bands Group IV A Class. The Kingsway Regional High School Marching Band is the largest band in the school’s history, currently made up of 97 members, due to the inclusion of eighth graders. The band’s winning production, “The Bride of Frankenstein,” also won awards for Best Music, Best Percussion and Best Color Guard under the guidance of Band Director Joe Henderson.